This is an article published in our October/November 2017 Issue. Strategic bombers have experienced a renaissance in recent US-led counter-insurgency efforts due in part to their ability to carry a large number of PGM, such as this USAF B-52H. Counter Insurgency (COIN) campaigns present some of the most demanding mission sets for military aircraft involved in Close Air Support (CAS). Yet improvements in sensors and weapons is honing the ability of air power to deliver decisive effects in this regard. In spite of the limited presence of traditional anti-aircraft threats such as surface-to-air missiles and Anti-Aircraft Artillery (AAA), aircraft involved in supporting COIN operations have to cover vast geographical areas to help detect and bring force to bear on concealed enemy forces that can attack from almost any direction in relation to friendly forces and are often either ‘danger-close’ to friendly troops or civilians, raising the possibility of ‘blue-on-blue’ or collateral damage incidents. Furthermore, since COIN operations are usually discretionary rather than existential conflicts for Western forces, civilian and friendly casualties are a potentially strategic issue due to fears of wavering domestic support for continuing operations, witness the event in April when a misdirected US airstrike killed 18 friendly Kurdish Syrian Democratic Forces militia in Tabqua, northern Syria. As a result, Western aircraft, weapons and sensors used to provide air support to COIN operations have had to evolve over the past decade and a half, driven by the demands of Iraq and Afghanistan. 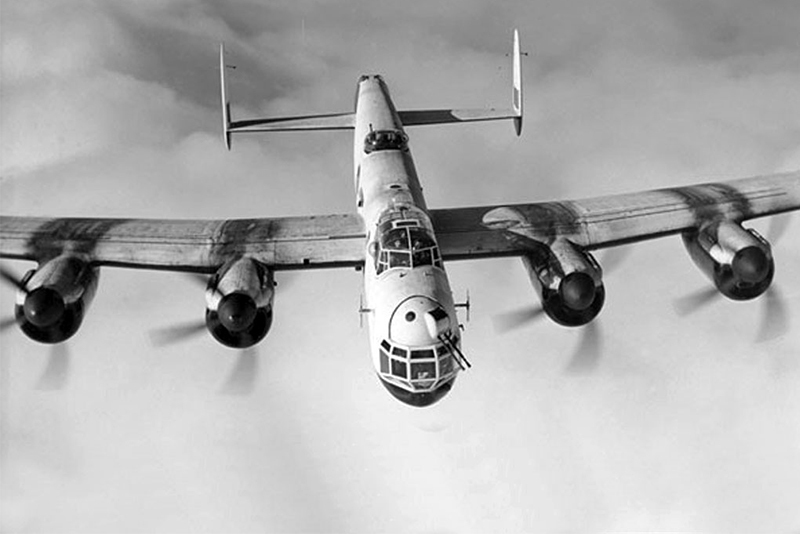 Using aircraft to conduct strikes and ISR (Intelligence, Surveillance and Reconnaissance) gathering in support of COIN operations dates back to at least the Malayan Emergency of 1948 until 1960 when the Royal Air Force used late model Spitfire piston-engine fighters and Avro Lincoln piston-engine strategic bombers for everything from reconnaissance and direct strikes, to the distribution of psychological warfare materials. The US involvement in the Vietnam War between 1965 and 1975 showcased the difficulties inherent in bringing firepower to bear effectively against a well-concealed enemy force that relied mainly on ambush warfare and could strike unpredictably over large geographical areas. Whilst fast jets such as the iconic McDonnell Douglas F-4 Phantom-II fighter family were used regularly for providing CAS to troops in contact, their accuracy with unguided and napalm bombs left much to be desired. Enemy forces were often unscathed and collateral damage amongst friendly forces and sometimes civilians was an all too often occurrence. Massed air fleets including Boeing B-52 family strategic bombers could devastate large targets such as Hanoi in northern Vietnam but caused so much collateral damage in doing so that large air campaigns like Operation LINEBACKER-II courted strategic defeat via political blowback both domestically and internationally; the operation was criticised by the governments of Australia and Sweden, whilst still failing to defeat the North Vietnamese Army or Viet Cong insurgent forces. However, the arrival of the first laser guided bombs in the guise of the Texas Instruments GBU-10 Paveway-I/II series in the closing stages of the war was a harbinger of the coming transformation in the ability of airpower to support troops in COIN operations. Although they were developed for use against pinpoint military targets and vehicles in state-on-state warfare, Precision Guided Munitions (PGMs) such as the Boeing Joint Direct Attack Munition (JDAM) family of Global Positioning System/Inertial Navigation System (GPS/INS) guided weapons, the Lockheed Martin/Raytheon Paveway series bombs and Lockheed Martin AGM-114 Hellfire laser/semi-active radar guided Air-to-Surface Missile (ASM) family have become synonymous with COIN operations in Iraq and Afghanistan. 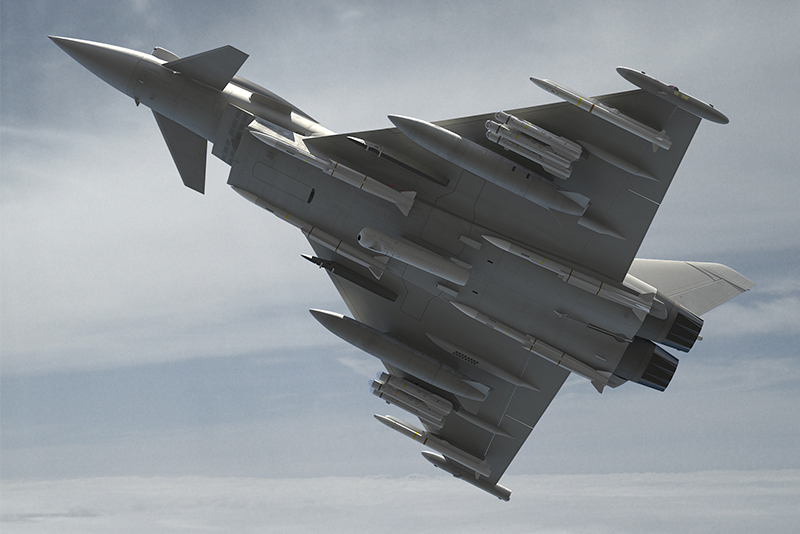 The latest British PGMs used in COIN operations are the Raytheon Paveway-IV GPS/INS or laser-guided PGM, and MBDA Brimstone-II laser/active radar homing SSM. These represent the culmination of various trends in PGM and COIN-specific weapon developments since the late Cold War. Both weapons include dual mode capabilities, in the case of the Paveway-IV the option of GPS/INS guidance or laser guidance depending on target type and weather conditions. The Brimstone-II can be laser-guided but also includes a millimetric radar seeker which allows for extreme accuracy against vehicles and a fire-and-forget mode if desired. Both the Paveway-IV and Brimstone-II are also examples of a move towards lower explosive yield, higher precision, selectable effects weapons: The Paveway-IV is a 500 pound/lb (227 kilograms/kg) weapon which has replaced the RAF’s Raytheon Enhanced Paveway-II 1000lb (454.5kg) class bomb for almost all COIN operations following the introduction of the P1Eb multirole software standard on the service’s Eurofighter Typhoon FGR4s Tranche-2/3 aircraft. It uses proportional control inputs with a corresponding range and precision enhancement over previous Paveway and JDAM family bombs, and can be configured for various burst settings and flight profiles including lateral impact profiles for buildings. Meanwhile the Brimstone-II missile, whilst originally designed to allow a single aircraft to destroy large numbers of enemy main battle tanks in high intensity warfare, has been developed into a dual-mode weapon which is extremely well suited to COIN operations due to its very small explosive yield and extreme accuracy, along with a small size and weight which allows up to three to be carried in place of a single previous-generation anti-armour missile like the Raytheon AGM-65 Maverick family laser/optically guided SSM. An RAF Panavia Tornado-GR4A pilot with combat experiencetold the author how a Brimstone-II missile he fired at two enemy combatants on a motorcycle travelling at high speed during NATO’s (North Atlantic Treaty Organisation) 2011 intervention in the Libyan Civil War, hit the diminutive vehicle directly on the engine block and the explosive content was so small that one of them was wounded but able to walk away from the wreck. In supporting the US-led intervention in Iraq and Syria, this combination of capabilities allows RAF aircraft to destroy insurgent vehicles and even individual snipers in buildings with absolutely minimal risk to nearby civilians. The capabilities of the latest generation of PGMs allow for the widest range of collateral-damage limitation techniques in difficult COIN situations where civilians and/or friendly forces are in close proximity to enemy positions, permitting more potential targets to be hit where previously they could not have been struck within operational and political risk tolerances. 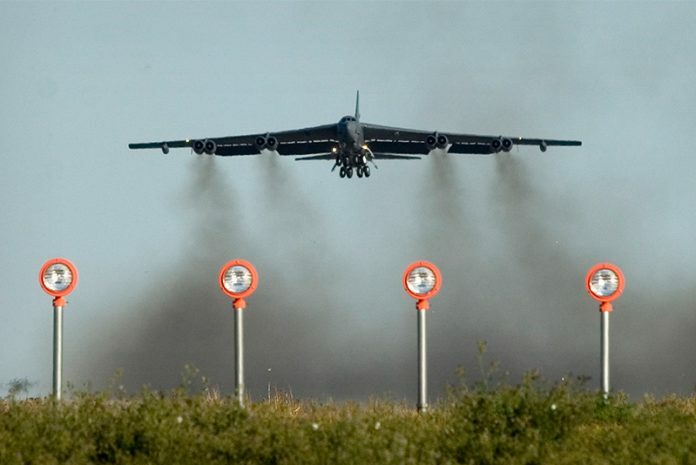 They also allow strategic bombers to be used as flying arsenals during large scale operations in COIN environments, able to deliver huge numbers of precision strikes over an extended period of time. However, the trade-off is extremely high in munitions costs compared to previous weapons. Where $130,300 missiles are being used to kill individual snipers or destroy makeshift armed pickup trucks, questions about value for money are bound to arise. 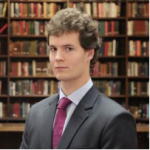 However, if these exquisite munitions allow engagements to occur at critical tactical moments in COIN campaigns where otherwise air support would have been impossible or caused so much damage as to be counterproductive, then it is hard to overestimate the potential strategic value of such capabilities. The combination of great precision and the consequent increase in the number of targets that can effectively be hit during each sortie has enabled huge increases in the efficacy of air support to modern COIN operations compared to the Vietnam era. Laser guidance has not only enabled strike aircraft to deliver ordinance with great accuracy even against moving targets by self-designation, but has given ground forces the ability to guide in their own supporting munitions exactly where they want them during a fire fight using portable laser designators. Joint Terminal Attack Controllers (JTAC) have come to be seen as near-essential for infantry forces operating against insurgents given the need to quickly communicate the required information to pilots in the heat of battle. Precision guided munitions, coupled with the introduction of powerful sensor pods such as Rafael Advanced Defence Systems AN/AAQ-28(V) Litening and Lockheed Martin AN/AAQ-33 Sniper targeting pods have enabled the provision of CAS to troops involved in COIN operations to be conducted from above 15000 feet/ft (4572 metres/m), rather than the previous fighter-bomber tactic of strafing and dive-bombing attacks at low level in the face of AAA. The ability to standoff at altitude whilst still retaining sufficient precision and situational awareness to hit pinpoint targets has also greatly reduced the threat to aircraft from Man-Portable Air Defence Systems (MANPADS) such as the Raytheon FIM-92A Stinger family infrared (IR) guided SAM and KBM 9K32 Strela-2 and 9K38 Igla IR guided SAM MANPADS which generally cannot engage fixed wing targets above around 12000ft (3658m) but are very dangerous at low level as was proven in Afghanistan in the 1980s, and during the 1991 Persian Gulf War. Since insurgent groups often have access to MANPADS, this is a very significant advantage, and it also reduces the danger of flying accidents caused by the need to regularly train for extremely low level strike scenarios. As a result of the lengthy nature of COIN campaigns and the fact that air support can be required at short notice over long distances, air-to-air refuelling aircraft such as the US Air Force’s (USAF) ubiquitous Boeing KC-135R/T Stratotanker refuelling aircraft are essential to allow tactical fighters like the General Dynamics/Lockheed Martin F-16 Fighting Falcon and Tornado-GR4 fighter families to work effectively in such operations. These multirole jets offer excellent transit speeds to wherever support is needed, able to cover hundreds of nautical miles in minutes. However, they burn huge amounts of fuel and have limited internal fuel capacities especially if carrying heavy ordinance on external hardpoints. This limits loiter time over targets and increases in-theatre logistical demands for tankers and fuel supplies, often a hazardous task in itself on ambush, and IED (Improvised Explosive Device), menaced re-supply routes. On the other hand, fast jets can offer not only speed of response but also the accurate delivery of precision munitions, tactical ISR support using targeting pods, and less-than-lethal shows of force with high speed low passes to keep insurgent forces’ heads down where kinetic strikes are not possible or desirable. They also retain their core utility to fight in high threat environments and form part of a nations’ conventional deterrence and power projection capabilities. In other words, fighters equipped with targeting pods and PGMs can, with tanker support, allow air arms which are configured and equipped for high intensity warfighting to perform very effectively in COIN operations, albeit with a hefty price tag. However, for air forces with the primary task of COIN operations, such as many South American air arms and the fledgling Afghan Air Force, fast jets are an inappropriate solution to mission requirements. Light attack aircraft and helicopter gunships are generally the aircraft of choice for exclusively COIN-focused air forces. Compared to fast jets, they offer much greater potential time on station without in-flight refuelling whilst still being able to carry powerful sensor suites and pods, as well as a wide assortment of PGM and conventional munitions. Compared to multirole fast jets, light attack aircraft such as the Embraer EMB-314 Super Tucano which utilise fuel-efficient turboprop engines are also extremely cheap to operate, with manufacturers such as Textron and Embraer touting sub-$1000 costs per flight hour. Given that close air support to COIN operations does not typically involve dealing with advanced air or surface-to-air threats with the possible exception of MANPADS, the raw performance of fast jets is usually unnecessary. 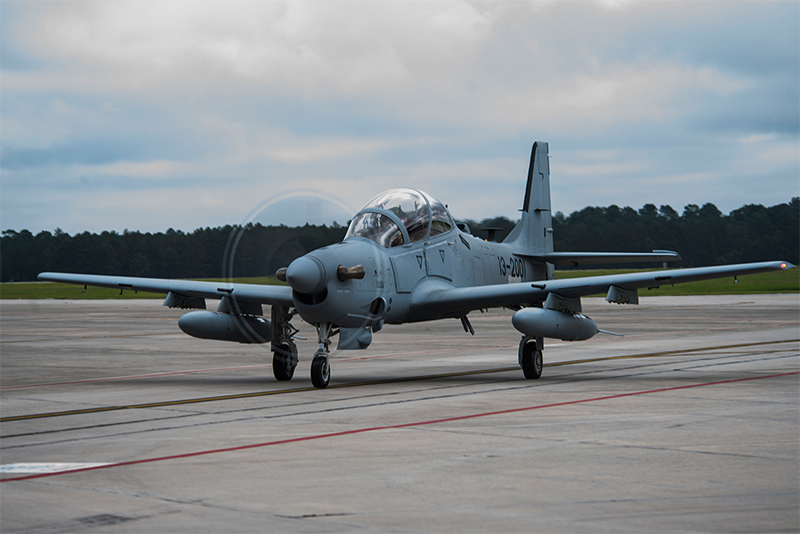 Light attack aircraft can offer better time on station with surprisingly heavy ordinance payloads including modern PGMs and targeting pods. In contrast to fixed wing air support options, helicopter gunships can have a much closer direct presence on the battlefield at low altitudes with heavy guns, rockets and missiles due to their ability to loiter at very low or zero air speed. However, for the same reason they are much more vulnerable to ground fire, and are historically speaking more likely to cause collateral damage due to their greater reliance on unguided weapons and more limited situational awareness, in some situations, compared to fixed wing aircraft orbiting at medium altitudes. It is worth remembering, of course, that high intensity air operations in crowded airspace, often over countries with little in the way of air traffic management is almost impossible without critical enablers such as Airborne Early Warning aircraft for command and control, tankers and a myriad of ISR assets such as the RAF’s Bombardier/Raytheon Sentinel R.1 surveillance aircraft to allow huge areas of territory to be monitored for changes in patterns of life, enemy movements and other tell-tale signs of insurgent activities. One capability which bridges both the crucial enduring ISR role, and also the low-cost, high precision, high loiter time CAS role is the Medium-Altitude, Long-Endurance (MALE) Unmanned Aerial Vehicle (UAV). Arguably the most significant product of a decade and a half of air operations in support of COIN campaigns, UAVs like the General Atomics MQ-1 Predator and more capable MQ-9 Reaper families have revolutionised what ISR can deliver without modern air opposition. 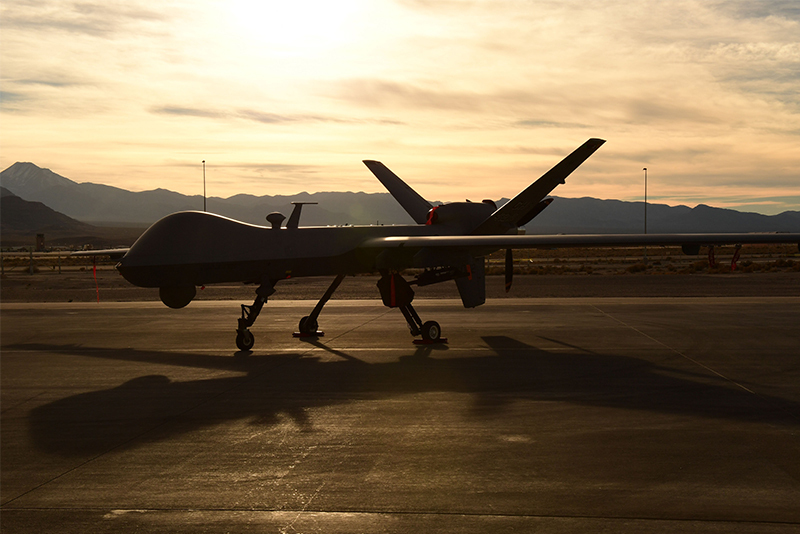 The latest iterations of the MQ-9 can remain over a mission area for more than 20 hours at a time and provide pattern of life intelligence through their capacity for long term endurance for extended periods of time, in addition to their full motion video surveillance capabilities. With the added option to attack targets themselves, they can also provide direct precision firepower to ground forces in addition to invaluable situational awareness throughout any given operation. However, even more so than with light attack aircraft and helicopters, MALE UAVs are extremely vulnerable to even outdated air defence systems and so cannot provide support to operations in the face of an opponent capable of reaching air targets above around 15000ft. They are perhaps the ultimate currently-operational example of combat aircraft specialised for COIN operations.